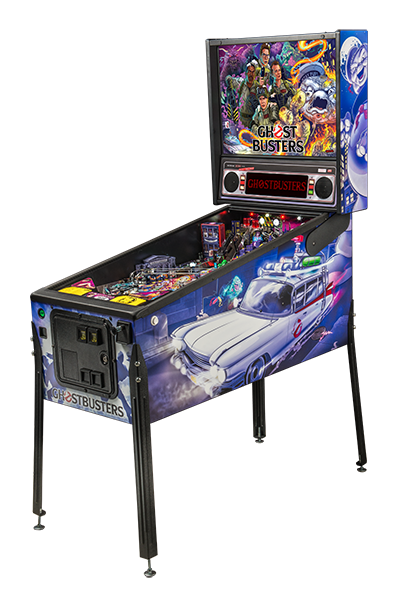 Stern Ghostbusters Pinball Machine for sale in Pro or Premium models each with something different. The Ghostbusters pinball experience highlights the humor of the film as the player progresses through the game. 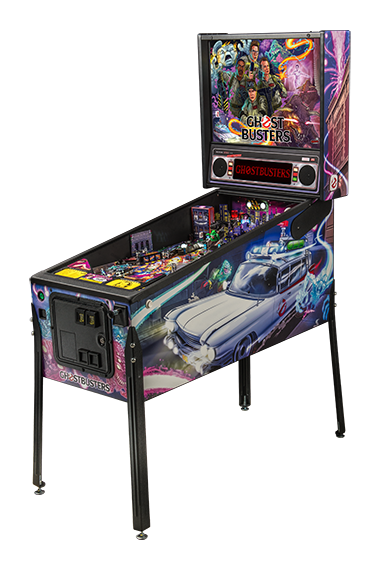 The game also includes custom speech by original “Ghostbusters” cast member, Ernie Hudson, who guides the player into becoming the newest member of the Ghostbusters team! 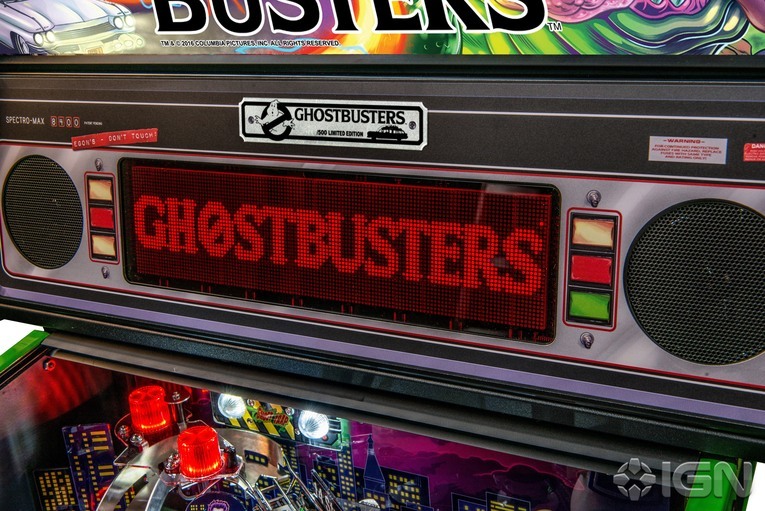 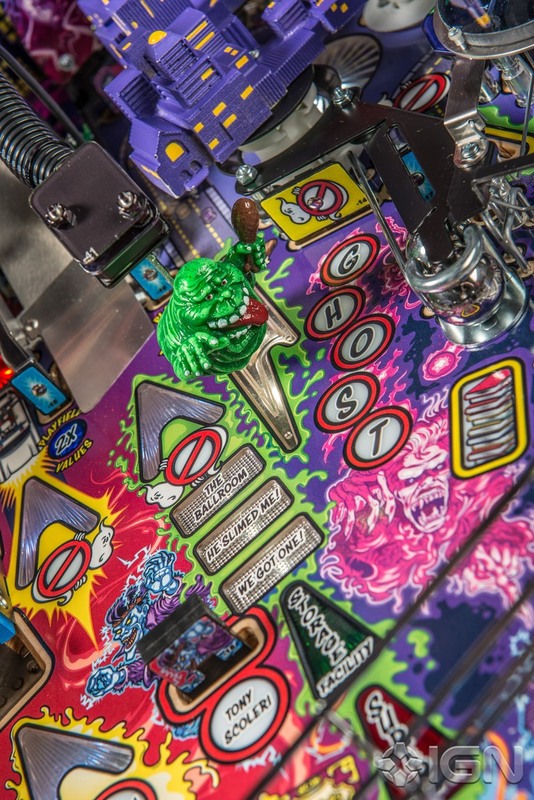 Ghostbusters pinball is designed to be easy to play but difficult to master. 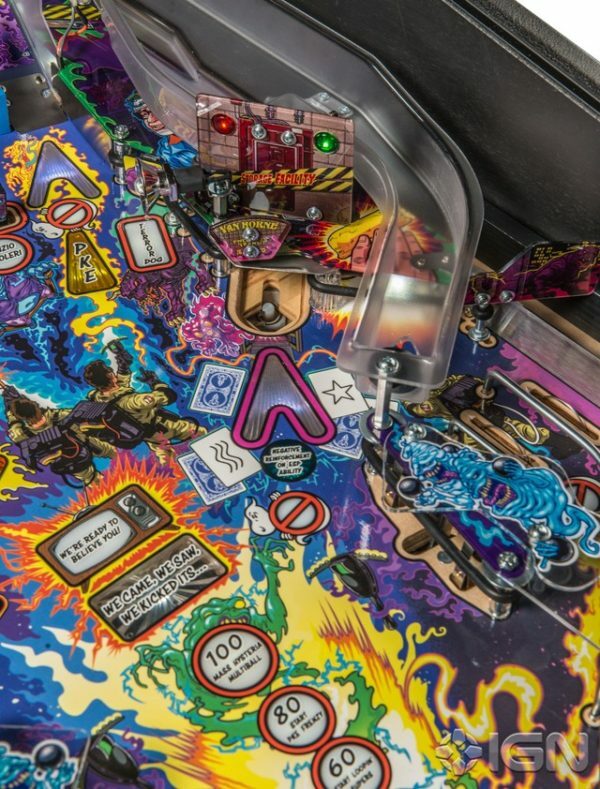 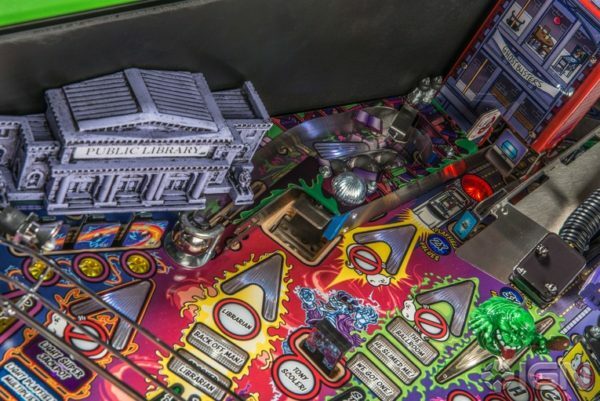 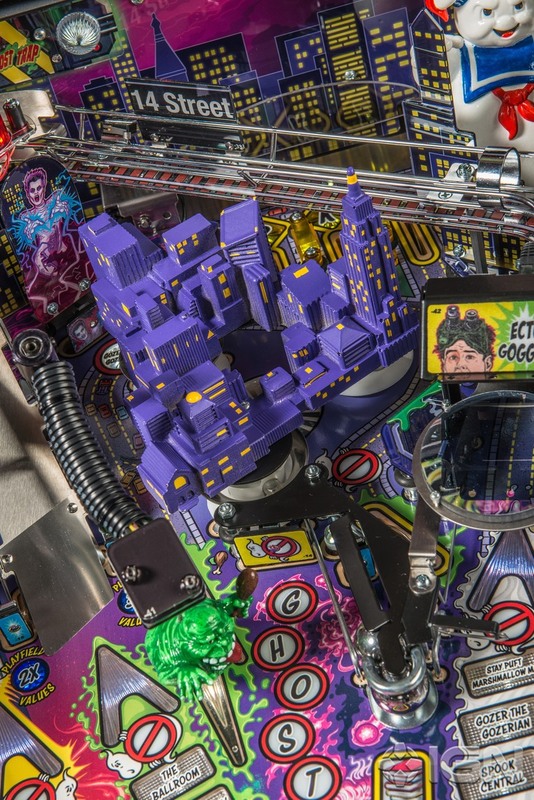 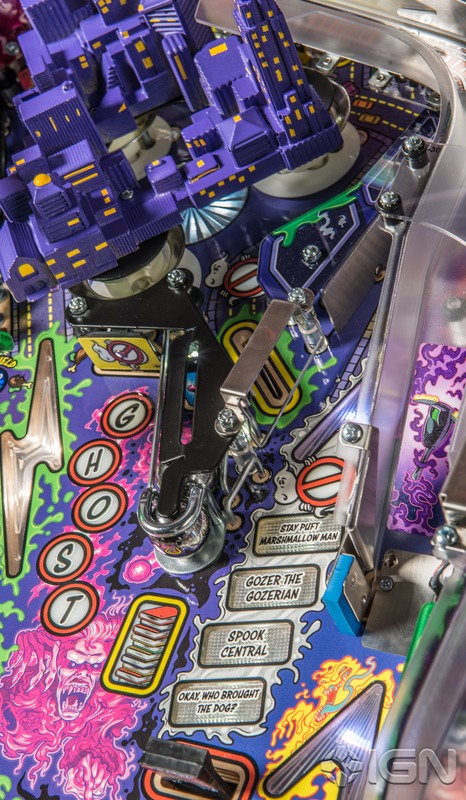 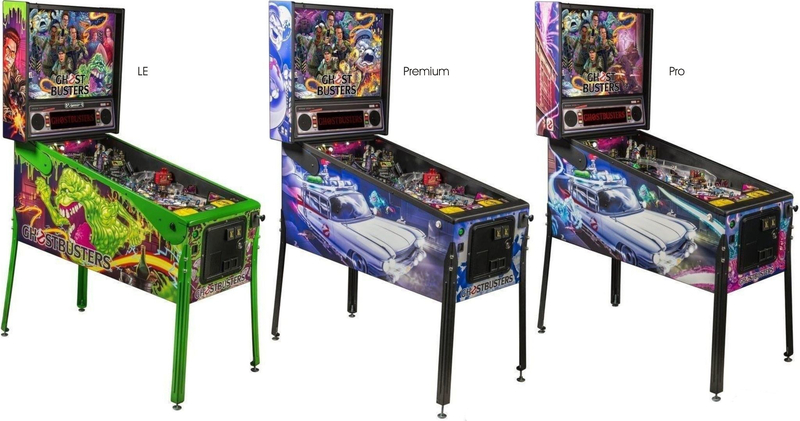 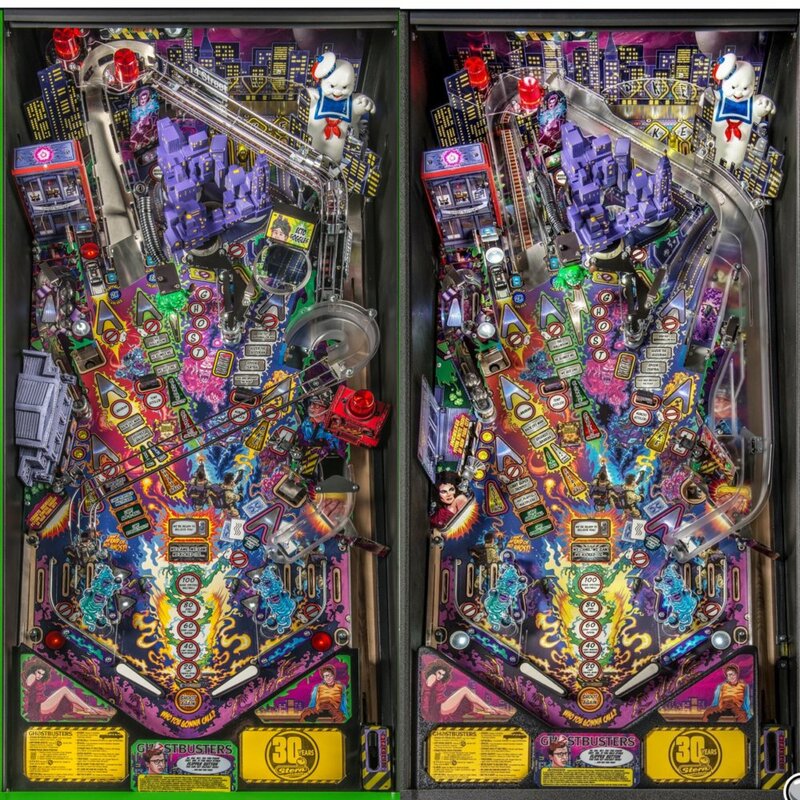 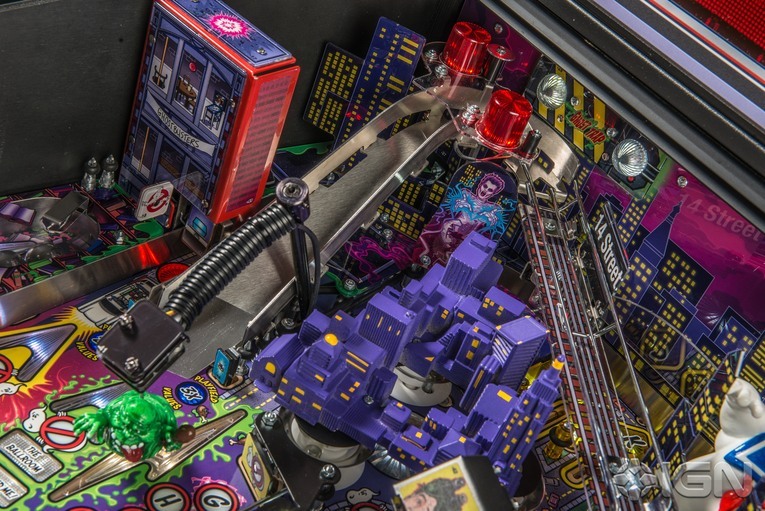 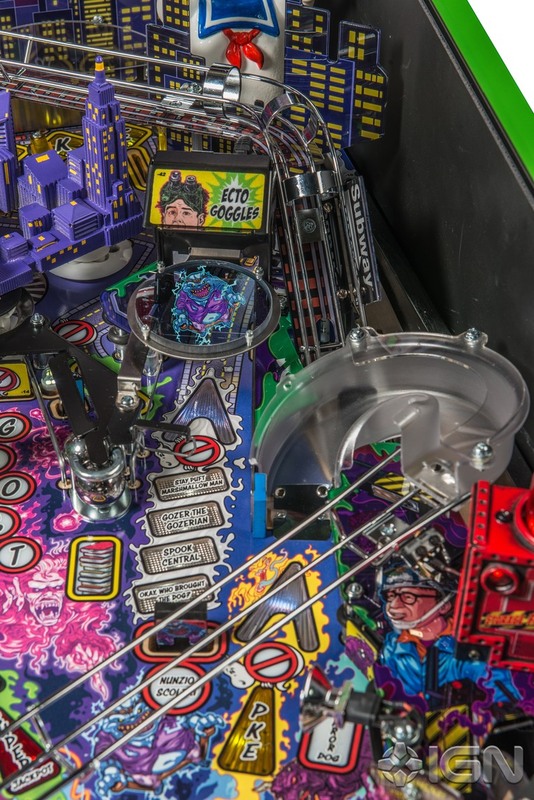 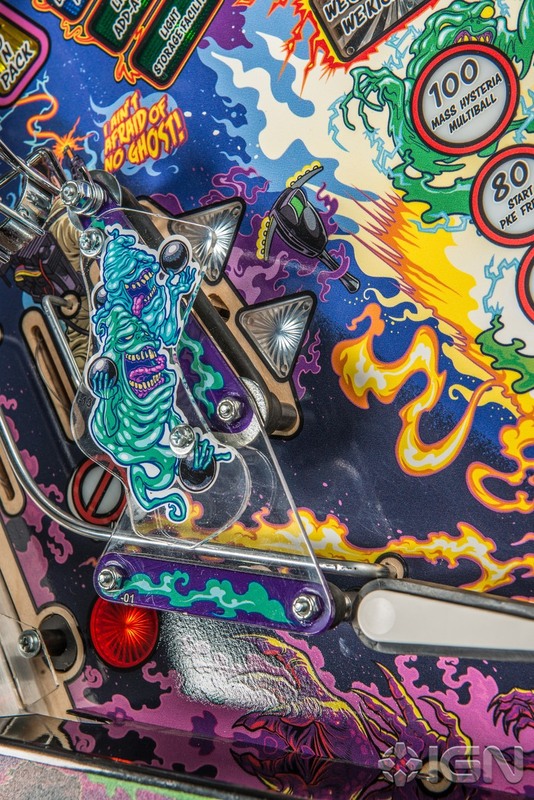 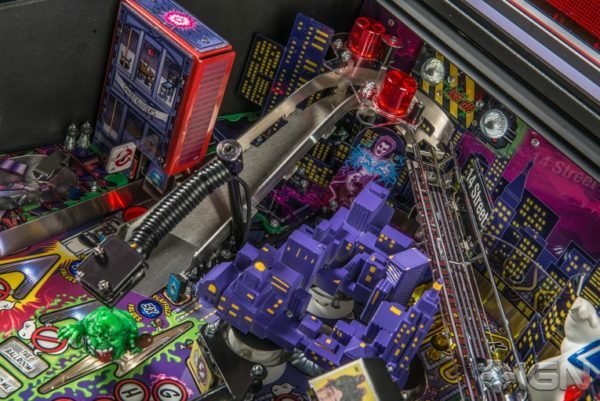 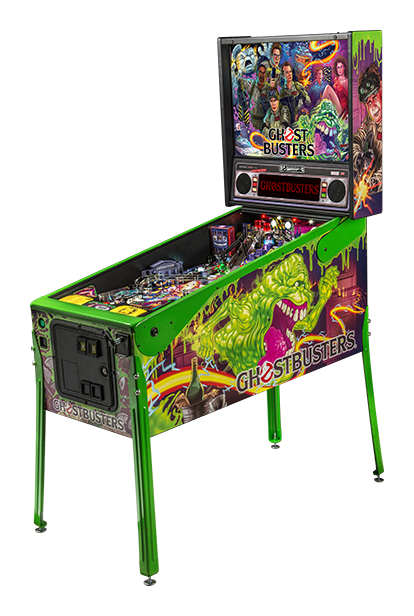 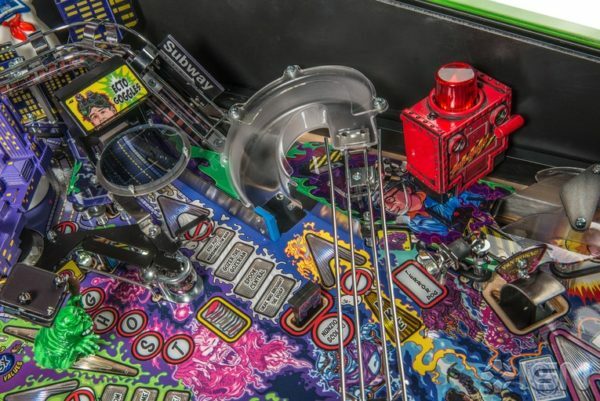 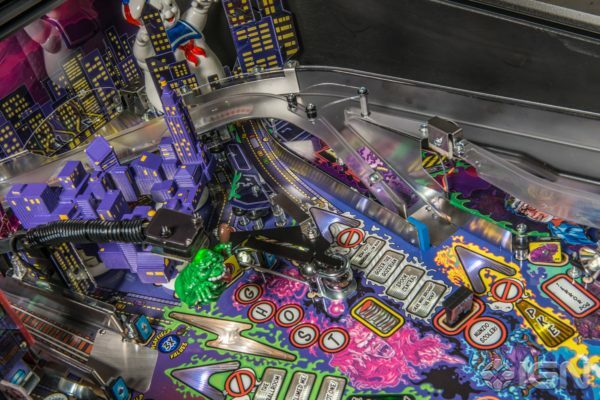 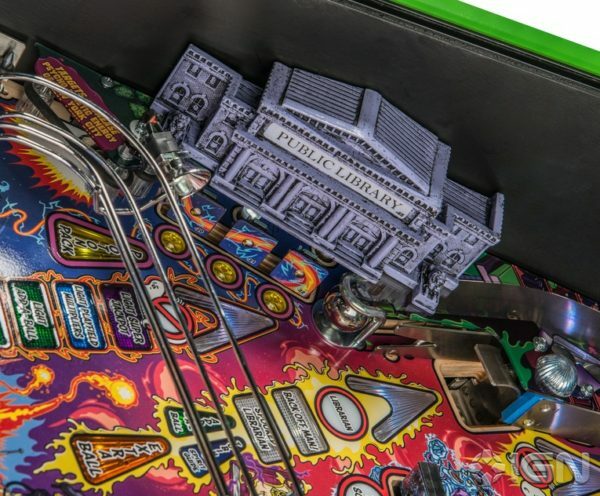 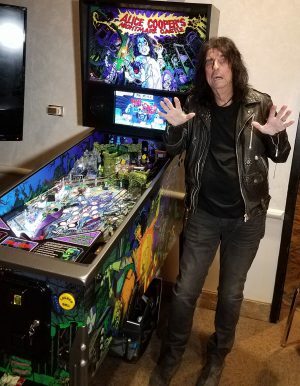 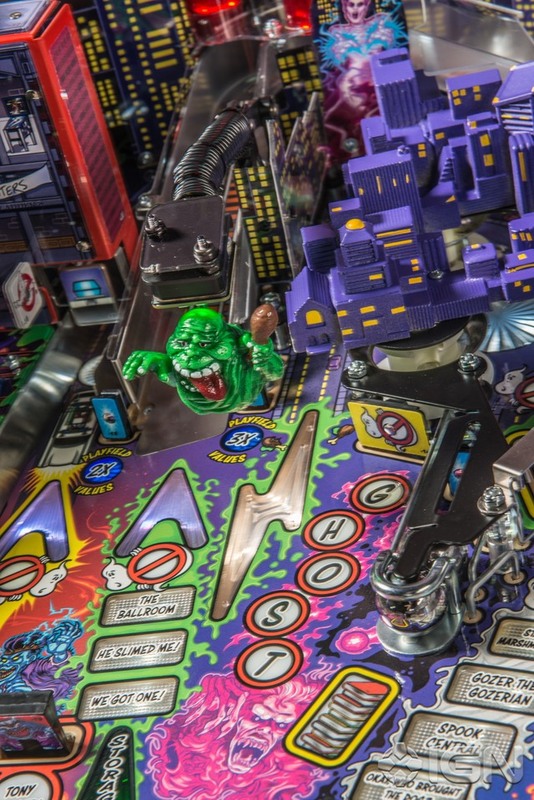 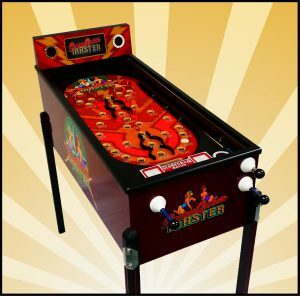 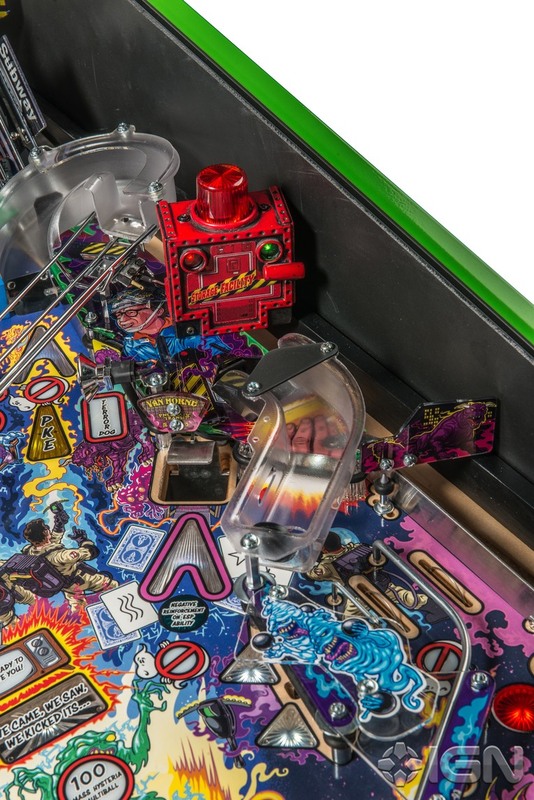 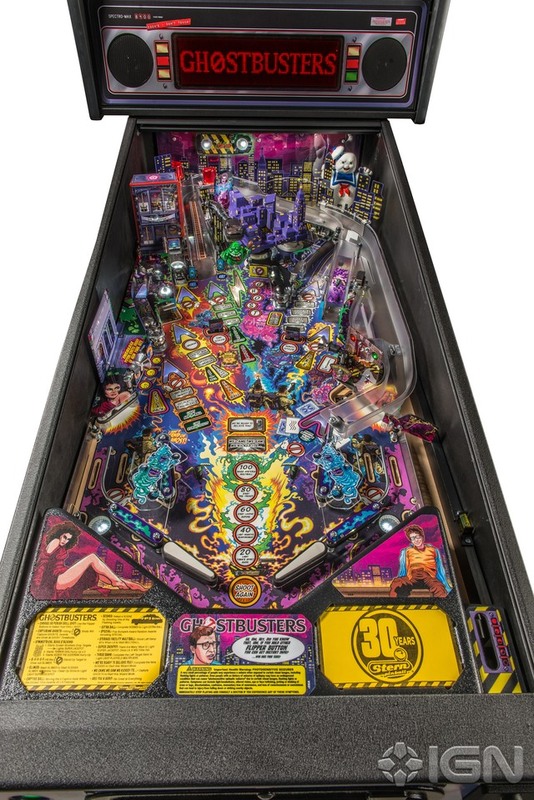 It features a moving interactive Slimer toy target and a fresh distinctive layout that integrates traditional pinball devices with unique multifunction two-way ramps featuring a magnetic diverter and scoring switches. 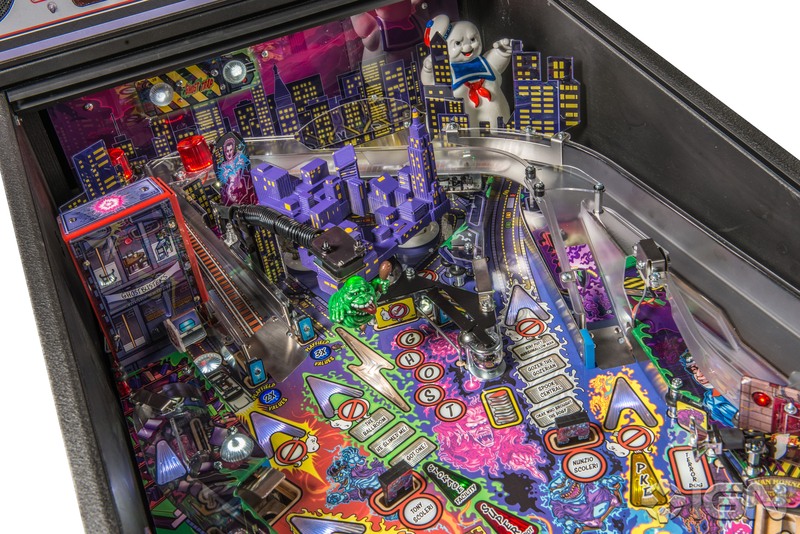 In addition, the game features a modern take on a ball transfer target, combative open field drop targets, a ball eject target, a captive ball target and custom molded toys. 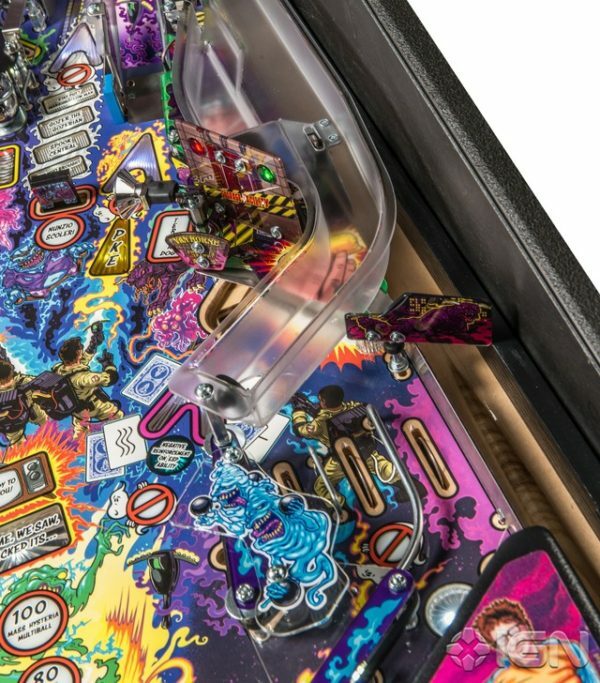 The Premium and Limited Edition models also feature an interactive ghost hologram target with animations, “para-normal” magnetic action slingshots, distinctive ramp architecture and additional custom molded toys. 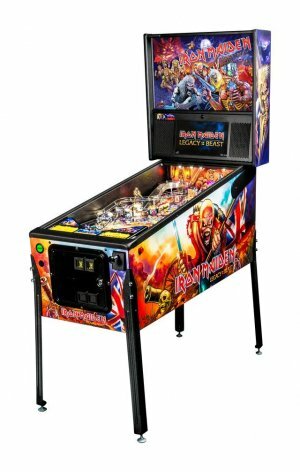 All models feature beautiful and unique hand drawn art by renowned illustrator Jeremy Packer a.k.a. Zombie Yeti.